For example, Massanutten Technical Center has licensed practical nurse (LPN) and certified nursing assistant (CNA) certificate programs. Eastern Mennonite University offers a master of science in nursing (MSN), a traditional bachelor of science in nursing (BSN), an accelerated second-degree BSN, and an LPN-to-BSN bridge program. James Madison University offers nursing programs at all degree levels, including a doctor of nursing practice (DNP). These and other nursing programs in Harrisonburg are readily available thanks to a high demand for nurses in all roles. Graduates of nursing programs in this city will have the skills and confidence to work for major area hospitals like Sentara RMH Medical Center, Augusta Health, Valley Health Page Memorial Hospital, and Shenandoah Memorial Hospital. Besides ample job opportunities in the local market, Harrisonburg nurses enjoy competitive salaries. The city’s RNs earn approximately $55,000 on average, with top performers earning $62,500-$75,000 per year. Local salaries for LPNs range from $38,000 annually (average) to $51,000 annually (top decile). The city’s CNAs typically earn $25,000-$35,000 per year. 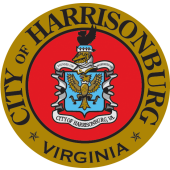 Start learning the skills you need to secure a nursing position in Harrisonburg, Virginia. Browse our list below of accredited schools to find nursing programs at all degree and certificate levels.